This Gleaner’s online headline yesterday caught my eye; stories about ChikV tend to. I would obviously want someone with the appropriate medical/scientific expertise to explain the relevance of this study to us in post-ChikV epidemic Jamaica. Like hundreds of thousands of other Jamaicans, I had ChikV last year and know of many relatives, friends and acquaintances who also had the disease, with varying levels of severity. 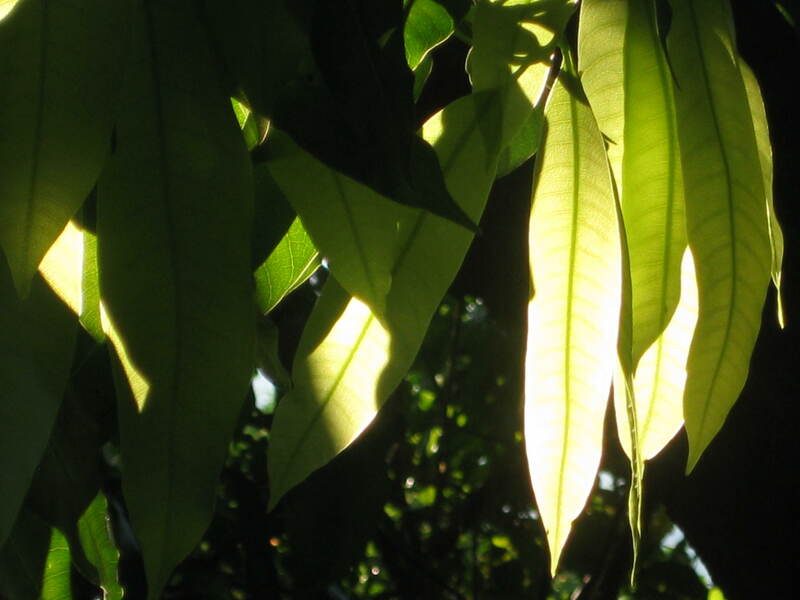 I had had dengue the previous year and was struck by the fact that the effects of ChikV lasted far beyond the acute phase, whereas I recovered from dengue relatively quickly. I also learned, mainly via online sources, of the medium and long term effects that ChikV can have, something which the Ministry of Health (MOH) seemed to downplay at the start. 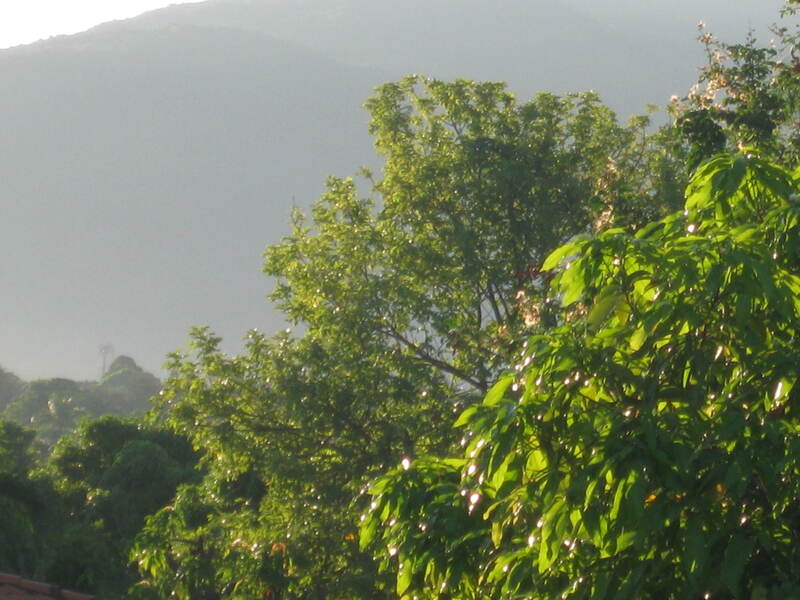 I wanted to find out whether there was ongoing or planned tracking of medium and long term effects of ChikV being experienced by people in Jamaica following the 2014 epidemic. So on April 18 this year, I made an Access to Information (ATI) request to the Ministry of Health and on May 14 received 11 documents from the Ministry. It is time, perhaps, for me to do some follow-up ATI requests, to see what has taken place in the intervening 7 months. But the real request is for the MOH and the various other local and regional bodies to track, to do research and to keep us informed. 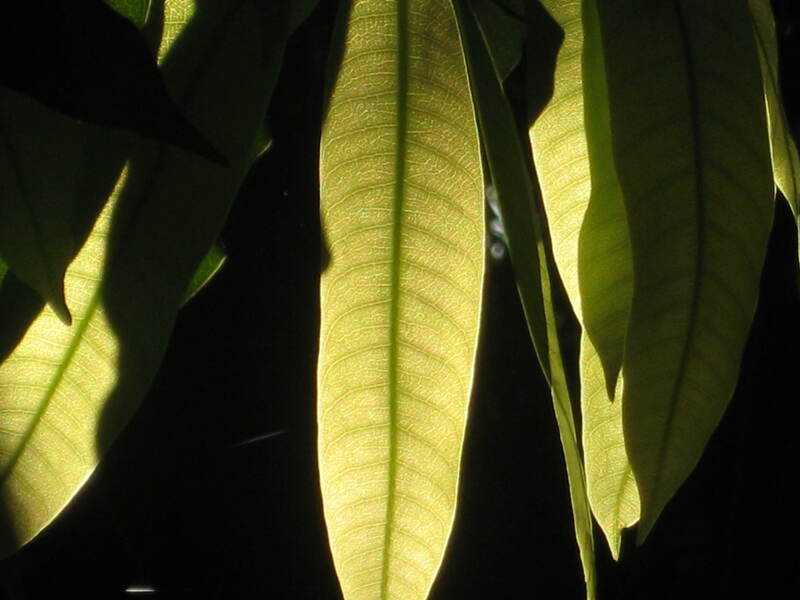 ChikV is here to stay, we are told, and we need to know as much as possible about its effects and how they can be prevented and treated. Categories: disease, health | Tags: access to information, ATI, Chikungunya, ChikV, epidemic, Jamaica, medical research, Ministry of Health | Permalink. 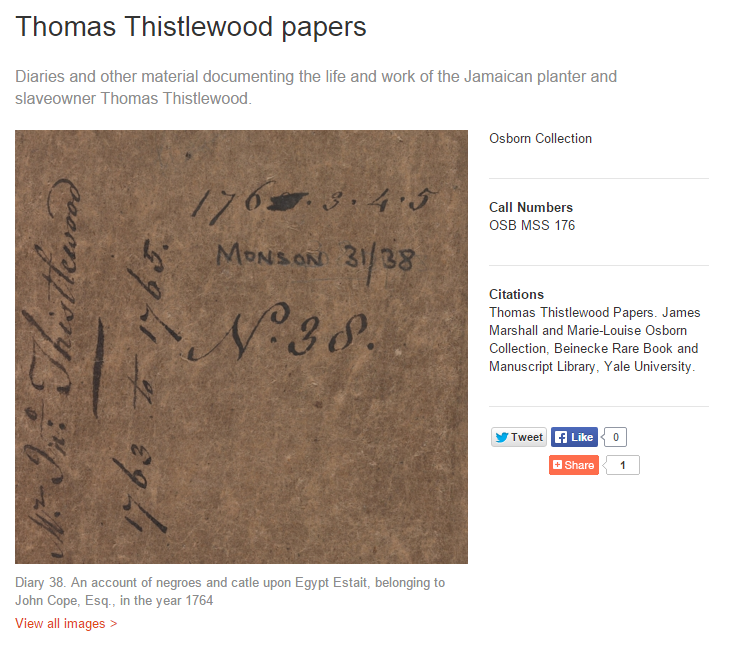 Many people would know of the diaries from Douglas Hall’s book “In Miserable Slavery: Thomas Thistlewood in Jamaica, 1750-86”, sections of which are available on Google Books (click here), for those who don’t have access to a physical copy. Thistlewood’s diaries are difficult to read – the physical script and some of the disturbing content, but their increased availability illustrates one of the real values of the internet – increased access to information. 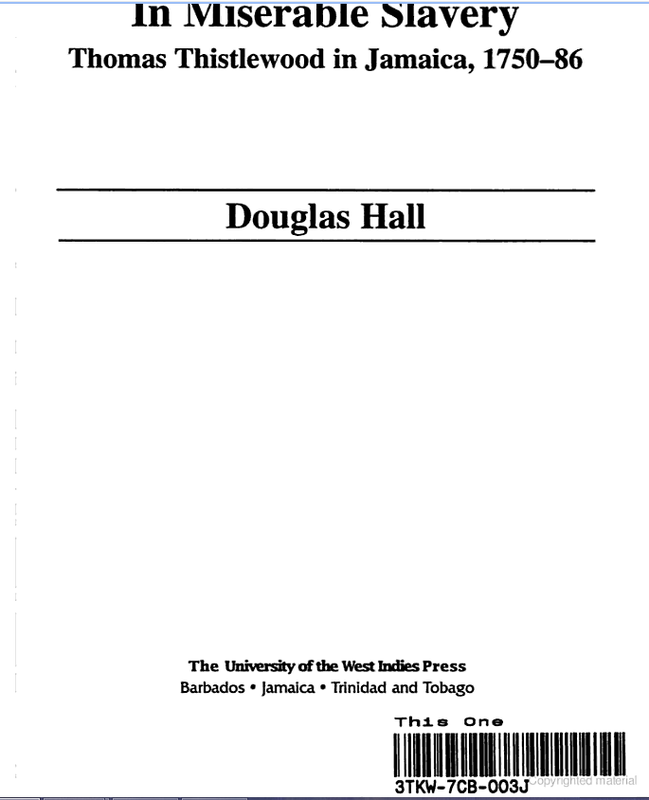 Categories: history, internet | Tags: access to information, Beinecke Library, diaries, Douglas Hall, Gad Heuman, internet, Jamaica, slavery, Thomas Thistlewood | Permalink. This morning, Commissioner of Police Carl Williams made a presentation in Parliament to the Internal & External Affairs Committee, chaired by Opposition MP Derrick Smith. The presentation was about the current situation regarding murders in Jamaica and the murder reduction strategies being implemented by the Jamaica Constabulary Force (JCF). At the start of the session, Government MP Mikael Phillips, supported by a number of other Government members of the committee, suggested that the session should be held in camera, due to the potentially sensitive nature of the exchange following the Commissioner’s presentation. Derrick Smith and Delroy Chuck, the two Opposition MPs present disagreed, saying that any questions that were of a sensitive nature could be disallowed by the Chair, and that Commissioner Williams was also entitled to refrain from answering any questions he felt would reveal sensitive information. 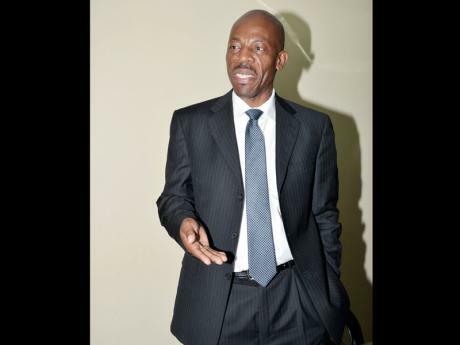 Eventually, MP Phillips put forward a motion that Commissioner Williams should make his presentation in open session, but that the question and answer session should be held in camera. Given the numbers in the Chamber, MP Smith didn’t bother to put the motion to a vote, but proceeded along the lines of the motion. Commissioner Williams’ presentation was made in open session, following which the press and members of the public (myself included) left the Parliament, to allow for the in camera session. MP Chuck also left at this point. I question the necessity for the entire Q & A session to have been held in camera and hope that this doesn’t set a precedent. I think the better model is for in camera proceedings to be triggered by specific questions, rather than for an entire Q & A session to be closed because of the potential that sensitive questions may be asked. I plan to do a separate blog about some of the information presented by Commissioner Williams. 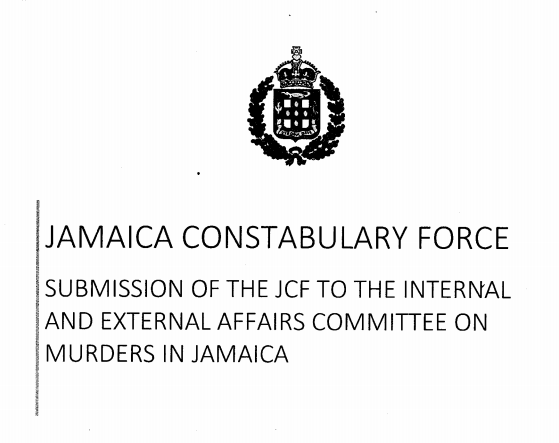 Categories: murder, policing | Tags: Carl Williams, Internal & External Affairs Committee, Jamaica, Murder statistics, Parliament, Police Commissioner | Permalink. Inwardly grateful for a lovely day. 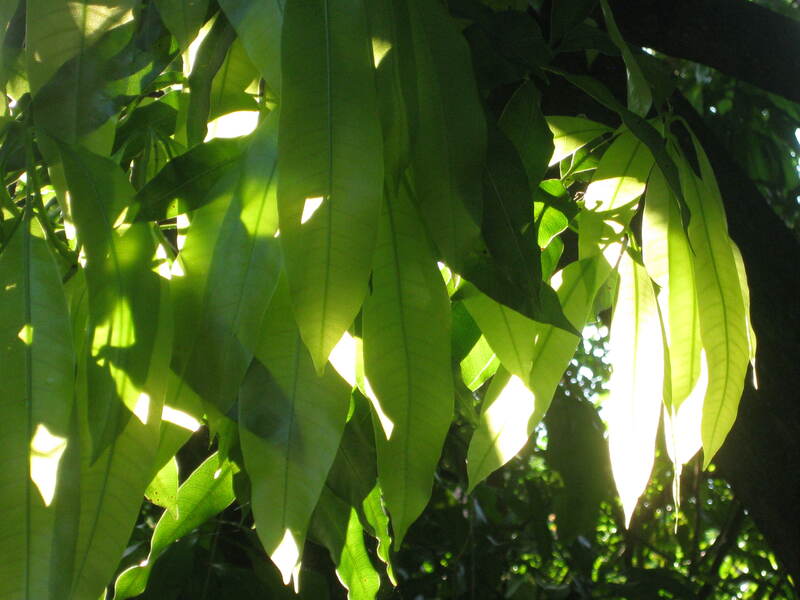 Categories: nature | Tags: George Campbell, Jamaica, Litany, mango leaves, mango trees, sunlight | Permalink. A Bruised Access to Information Act? I am glad that Minister of Health, Dr Fenton Ferguson, changed his mind and is now going to release to the public the long-withheld health facilities audit report. It is the right decision and should have been his position from the start. I am concerned that the Minister initially felt it was acceptable to withhold the full report from the public, as this doesn’t fit within the access to information paradigm which is supposed to operate in Jamaica. I am concerned that the individuals and organizations (including media houses) who made applications for the audit report using the provisions of the Access to Information (ATI) Act hadn’t received the report as of Monday (Nov 2). Applicants have said they were beyond the original 30 day period and were at or approaching the end of the 30 day extension that can be requested under the Act. The reason the Ministry of Health (MOH) gave for the delay was that it had asked the Attorney General (AG) for legal advice regarding releasing the report. A number of the individuals and organizations said that the MOH wrote to them on Monday saying that it was still awaiting the AG’s response, and so wouldn’t be releasing the document at that time. The MOH also advised applicants that they could appeal the decision, using Part 5 of the Act. So basically, as of Monday the MOH was not prepared to release the report to those who had applied for it using the designated law for this purpose. And then on Tuesday morning (Nov 3), the Minister reversed his decision and said that he would be releasing the audit report after all. What changed the Minister’s mind? Consultations, said the Minister at a public function on Tuesday. 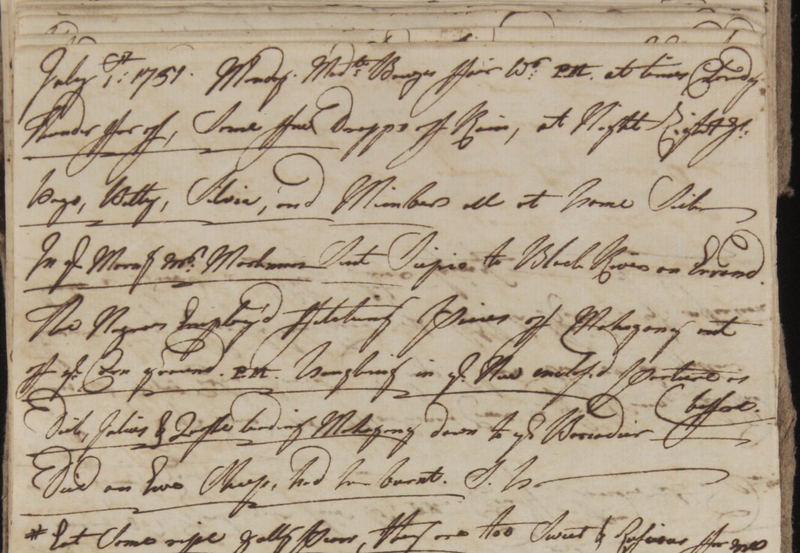 Consultations with whom and of what nature? Was the Minister’s decision to release the audit report based on the principles and provisions of the law, the ATI Act? Or was it the public pressure? The mounting political pressure? The intervention of the private sector organizations? The continued media scrutiny? The likelihood that the full report had already been leaked & the details were beginning to make their way into the public sphere? So where does this leave the ATI Act? What happens when there is no public, political, private sector or media interest and pressure? When it is just you the citizen, a Ministry of Government and the Access to Information Act? We don’t know how long the appeal process would have taken or what the outcome would have been. But we do know it would have been a lot longer than 24 hours and would have fit the delay-and-frustrate model far better than the public outcry did. I am concerned that more than 10 years after the ATI Act came into being, Ministers and Ministries do not respond as quickly as they ought to, given the objects and provisions of the Act. Categories: democracy, governance, politics | Tags: access to information, ATI, Fenton Ferguson, FOI, freedom of information, Jamaica, Ministry of Health | Permalink. The majority of us will never hold public office or lead the country or head a government ministry. We know the challenges faced by those who do are often great. But that doesn’t mean we must sit down and shut up in the arena of public discourse. There are those who say that unless you can tell how to solve the problem at hand, you have no right to criticize. That would mean that most of us wouldn’t be able to say anything about the outbreak of infection in health care facilities or fires at open garbage dumps or the emptying of untreated sewage into our waterways. The thing is, we see and feel the effects of these things and as citizens in a democracy we have the right (the duty?) to speak out and ask questions; the right to indicate that we are not happy – are very distressed, actually – with what is happening. We have a right to ask questions, to expect answers, to be told what happened, what went wrong and what is being done to correct the problem and prevent reoccurrences. We should expect journalists to have more than 5 minutes of answers. We should expect access to information contained in audits done of our health facilities. These are hardly unreasonable expectations. We are the unelected majority, who have every right to ask questions of the elected minority and our public servants. And every right to expect forthright, accurate, comprehensive and timely answers. 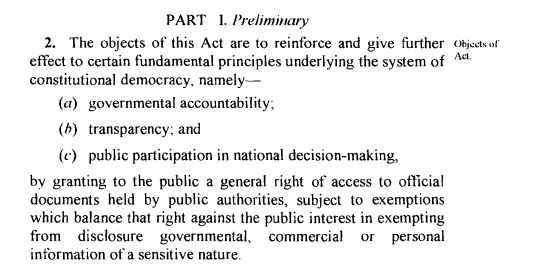 Categories: democracy, governance | Tags: access to information, elected minority, Jamaica, unelected majority | Permalink.